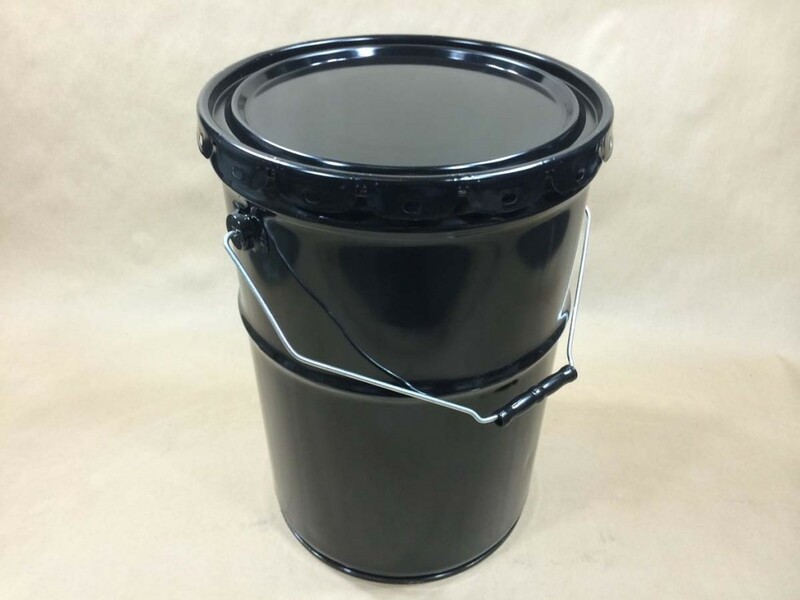 Our 6.5 gallon large open head black steel pail is unlined. The lug cover for this pail is sold separately. 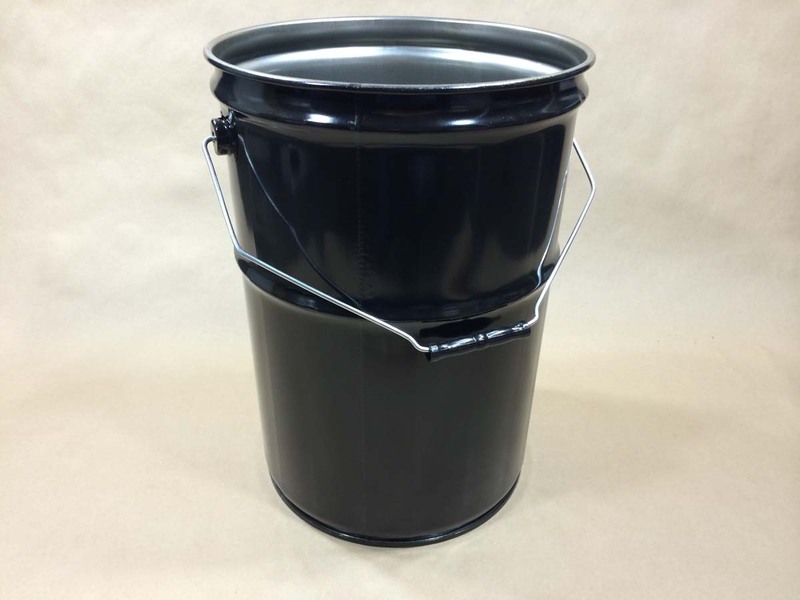 This is an 0.5mm or 24 gauge black steel pail with a rust inhibitor. It has a UN designation of UN1A2/X30/S. 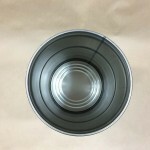 Because of it’s X rating, this pail may be used for Packing Groups I, II and III. A brief explanation of UN ratings can be found on this page. 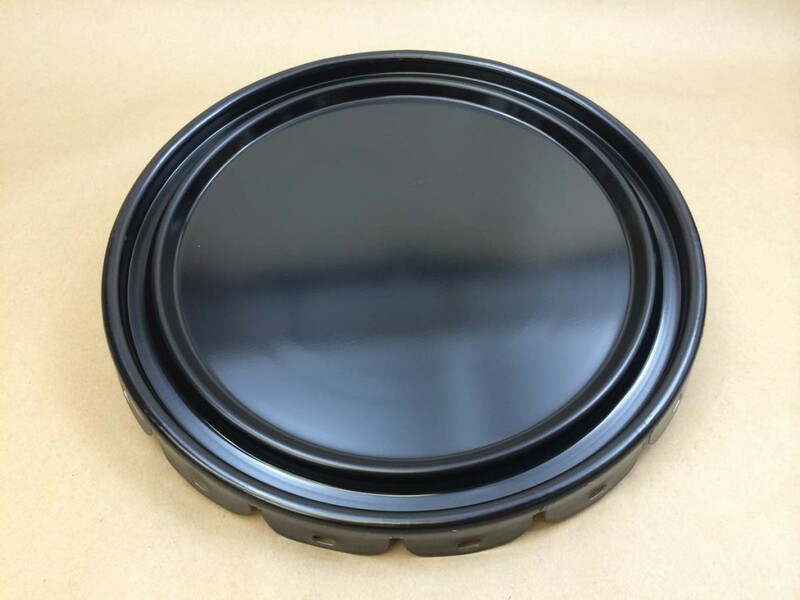 To keep the UN rating valid, the only lid that can be used is our Item # CSCC-80-01X30 lug cover. 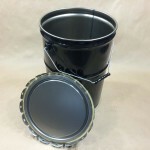 Lug covers have steel tabs that must be crimped down to secure the lid to the pail. Generally this is done with a lug crimper (sold separately). 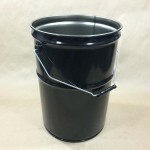 Packing Group I X rated steel pails can hold hazardous product, however, if you need a 6.5 gallon pail, this pail can be used for non-hazardous product also. As product compatibility with the container is the responsibility of the shipper, we suggest you let us send a sample for testing with your product.